When Traiphum showed this on his Facebook page I knew I had to have one. 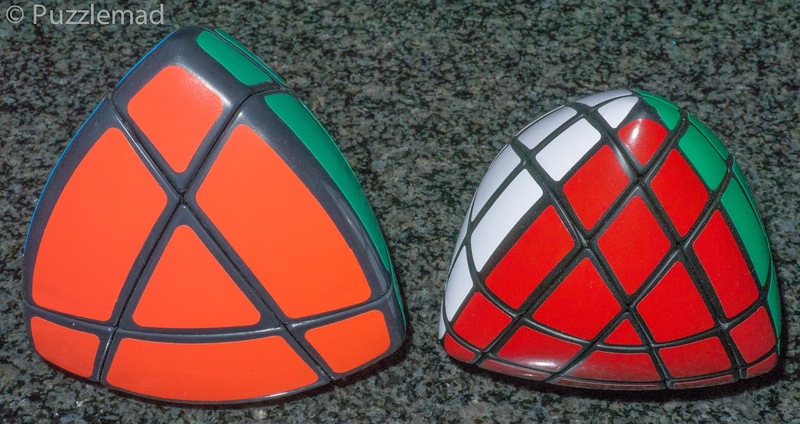 He has taken a Master skewb which is an absolutely phenomenal corner turning cubic puzzle and turned it into a tetrahedron. This really makes it a mindblowing puzzle to solve. As usual with all of Traiphum's work it is absolutely perfect! Can you see the similarity? No? Me neither! 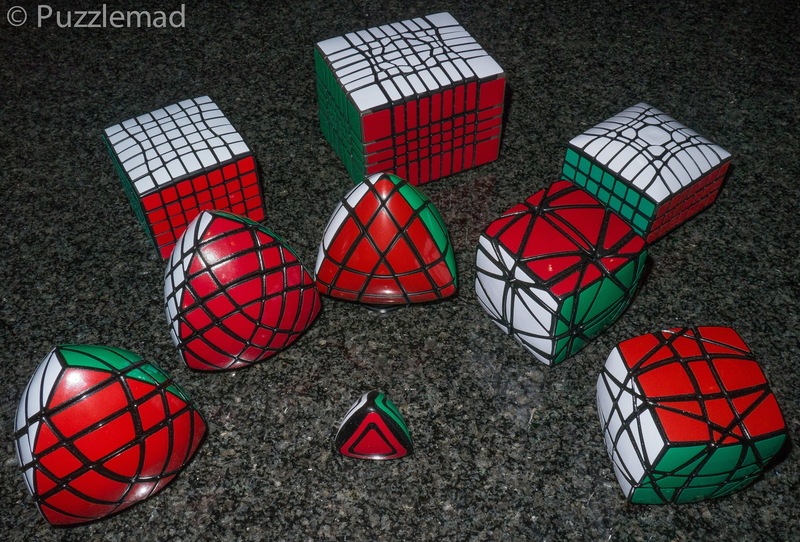 On the left is a Jing's Pyraminx. 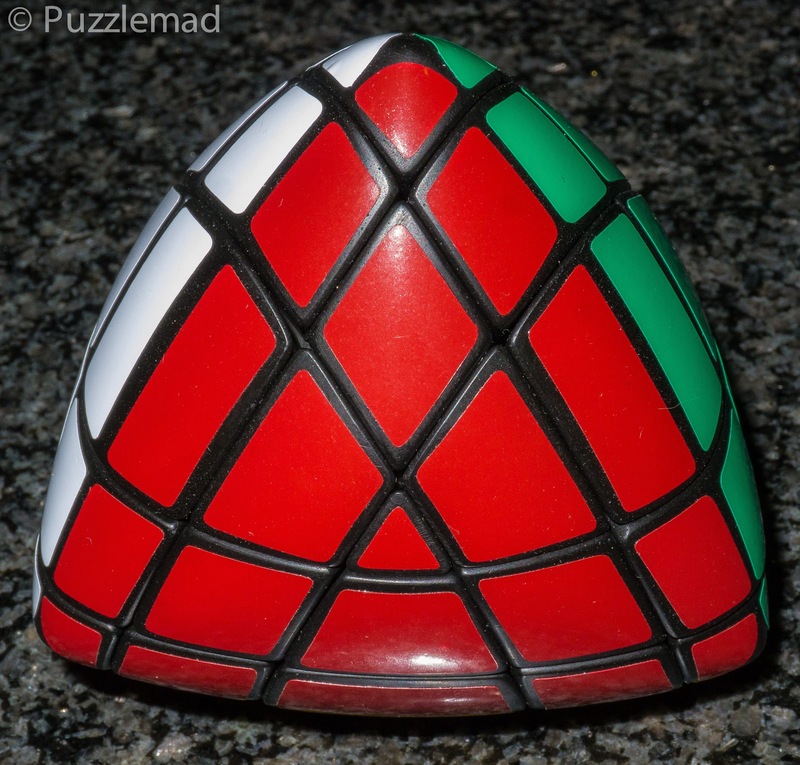 Traiphum's puzzle is effectively a 'master' version of that - fiendish! Call me a sucker - yes I heard you! I know I am a sucker - at least for Traiphum puzzles - here's my current collection - it is only a fraction of that owned by Dan Fast (aka CrazyBadCuber) but I intend to get more! Notice the fiendishly difficult 1x1 tetrahedron and the 0x0 next to it!